Come stay at our Mt. 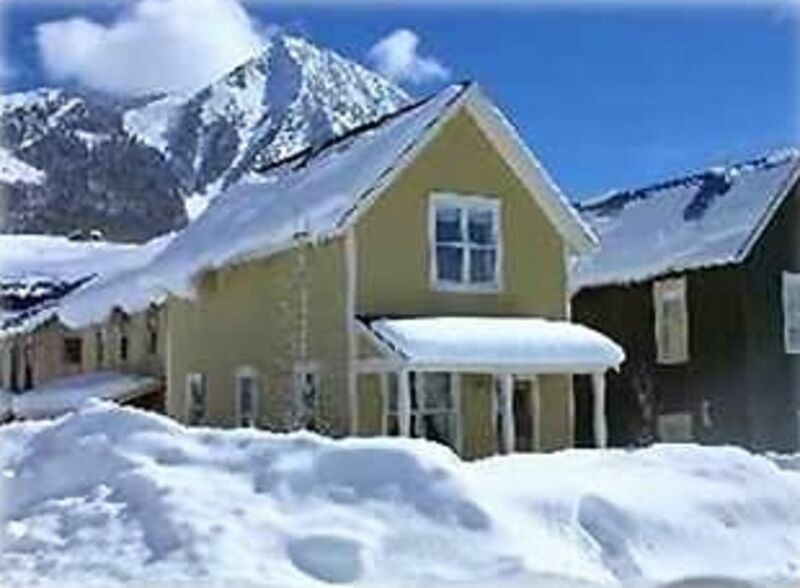 Crested Butte home for a true Rocky Mountain adventure during any season! Crested Butte is a pristine, historic mountain town surrounded by breathtaking alpine views in every direction. The ski area is world famous for both extreme steeps as well as plenty of terrain for beginners and intermediates. Avoid the lines at most other Colorado ski areas by skiing here! The town has many great restaurants and shopping opportunities, all with a very casual atmosphere. Cross-country skiing in the winter, and hiking, camping, biking and wild-life viewing opportunities also abound here! Use our home as a base-camp for unlimited adventures! The ski lifts are a short walk from our front door, and a free bus is available to the lifts and to town. Bedrooms include a queen bed in one and a bunk-bed in the other with a double (full) bed on the bottom. Extra twin futon also available on request. My husband and I have spent most of our lives in Colorado, enjoying lots of time in the mountains. We feel rejuvenated from skiing, hiking, mountain biking and just hanging out on our porch in Mt. Crested Butte. Our kids have grown to love all of these activities as well as fly fishing in the rivers. We chose Mt. Crested Butte for our vacation home because the skiing is superior to anything we have experienced in Colorado. Crested Butte is off the beaten path so it is an especially pristine location. We bought it mostly to enjoy the skiing, but have discovered that we love it in summer as well. The hiking and mountin biking trails are abundant and full of wild flowers. There are many fantastic restaurants and most are priced reasonably. Our house is clean and cozy. It is in a neighborhood with many full time residents and a welcoming feeling. In summer, the hummingbirds visit the flowers in the garden. In winter, the snow in the yard gets very deep, great for making snow forts! We have a stash of toys, games, books and puzzles for kids of all ages. No Smoking or pets, please. Our neighborhood HOA does not allow barbecue grills or trailers or big campers. Really enjoyed staying here as a family of four for spring break. Location was great- easy to walk to the slopes or take bus at the entrance to the neighborhood. Spent most nights playing the board games provided. Such a nice touch! Great two story house with a basement in a quiet neighborhood. Super clean, well stocked, fast wifi. Bus stop four houses away for free easy transportation to and from the base of the mountain and town. Communication with the owner easy, effective. Thanks! This house has everything you need. Martha, the owner, was ready to respond any questions you may have. The sky resort is 2 minutes away driving and the bus stop is 1 minute walking. The neighborhood is breathtaking. Thank you so much Martha for making our Christmas so special. We had a blast! We enjoyed our stay here. It was just the right size for a family of four. The kids loved playing in the snow out in the front and side yard. The neighbors were super nice. The owners were also very responsive. nice to have air available on hot days! we are not usual visitors, we don't hike or bicycle - we just love kicking back and enjoying the cool and slow pace, most of all the beautiful area! This house is adorable and had everything we needed. It is small but had room for the 5 of us. My husband even used the basement as a workout space! The owner says they have a few kid games and we were pleasantly surprised to find lots to keep us busy when we were at the house relaxing. Very close to the bus stop which we used a lot. Kitchen also had all that you would need. We cooked all but one meal in the house. Would definitely stay here again!